“We had a total of 6 accidents in the last 6 months that occurred when our employees were driving company vehicles but on their personal time – thank god no one got hurt” – shared a business owner (now an Automile customer) who struggled with the lack of visibility to prevent such a use case. Whether it is on employees’ personal time or not, one of the major causes of accidents is distracted driving. Humans get distracted – period! But the implications can be huge and one needs to get in front of it. You know this, of course, and your drivers do, too. Find more eye-opening stats in Should Fleet Safety Be One of Your Top Business Priorities? The smartphone distraction, in particular, is getting to be a bigger problem because of all the devices we carry around with us. Those handy, productivity-boosting, collaboration-enabling, always-on connected devices…they’re a big, big distraction, affecting how drivers scan and process information from the roadway. In fact, AAA Foundation for Traffic Safety research shows the brain remains distracted for 27 seconds after engaging with a device, even if it’s done while the driver is stopped at a traffic light. If smartphones are in the hands of your drivers while they’re on the road for company business (or even when they’re not), a heck of a lot is at stake and you’re surrendering a lot to chance. Acknowledge the problem, accept that distracted driving is a hazard of life (or death) behind the wheel, and do something about it. Get the conversation started among your company’s leadership team and plan your attack. 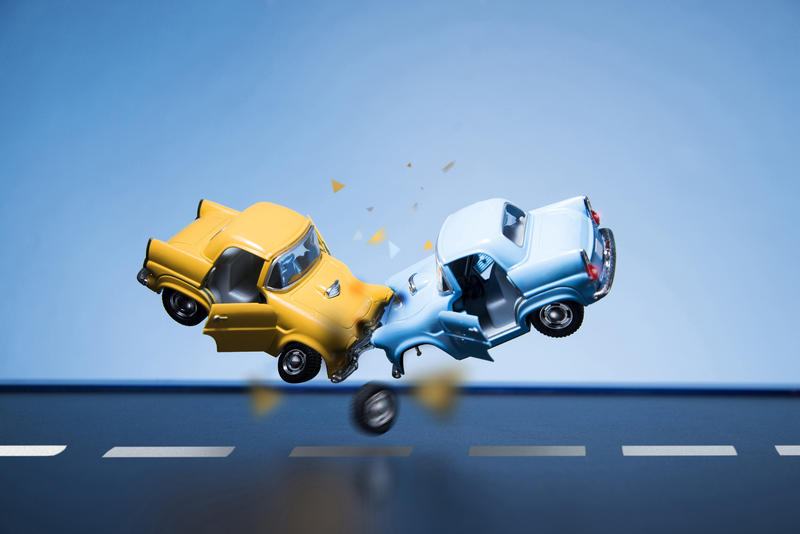 Your end goal is to prevent and reduce work-related motor vehicle accidents and injuries. Aside from simply raising safety awareness and developing a safety culture among your team, it’s recommended you draft a formal policy—end secure everyone’s buy-in. Check out the National Safety Council’s Cell Phone Policy kit. It contains a sample policy as well as communications to build management and employee support, FAQs, informative white papers, and a whole lot more. Distraction.gov says, “The best way to end distracted driving is to educate all Americans about the danger it poses.” So let’s do it. Distraction.gov suggests that employers encourage their employees to take a pledge. Literally, to sign their name to a document (like this one) stating they will not use devices while driving and that they are committed to putting safety first. And be sure to explore The National Safety Council resources like posters, tip sheets, infographics, and more, while piecing together your educational materials. J Rollins Construction’s Loss Prevention Manager, Eli Trevino, has trained extensively on defensive driving and staying safe on the roads. Aside from providing relevant training to drivers to inform and reinforce safety practices, he depends on technology to support and inform his mission. He counts on Automile’s delivery of real-time visibility to inform the company where their vehicles are at any point during the day. Plus, Automile enables him to monitor driving behavior and data trends, giving him a firm understanding of their risks and where to put preventive measures in place. Learn more in Spotlight: Eli Trevino, OSHA Instructor And Safety Leader Gives Tips To Keep Your Mobile Workforce Safe. Set your distracted driving and safety strategy into motion.